Soooo it’s been well over 2 months since I’ve reviewed any products… oops. During this time, I have tried many new items; one of them being the Maybelline Blushed Nudes palette. Typically for reviews I share my thoughts on products in paragraph form; however I’m trying something different today by doing so in bullets. Frankly, I prefer reading bullets because they’re clear and to the point. But that’s just my personal preference. Hopefully you like this new format, too! -The shadows included are gorgeous subtle colors similar to those of the Naked 3 palette. -Shimmery and matte shadows are included. -Shadows last long on the eyes with minimal to no fallout. -Pigmented after a few layers. -It takes a few layers to become pigmented. -The slight chalkiness of the shadows initially makes for an uneven application. Over all, I give this palette 3.5/5 stars. 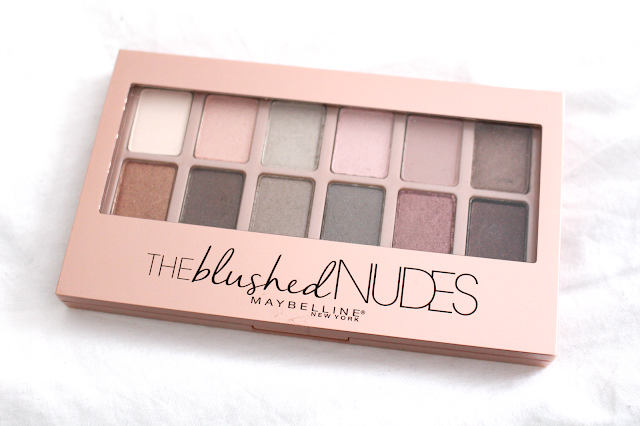 I love the idea of an all ‘blushed nudes’ palette; however I don't foresee myself repurchasing this particular one in the future. Given the chalky texture I’d rather try a different drugstore palette next time I’m browsing. Until I use up these shadows, though, I will enjoy playing around with various combinations and will no doubt get some beautiful eye looks out of it. Check out my latest video for a soft look created with this palette. 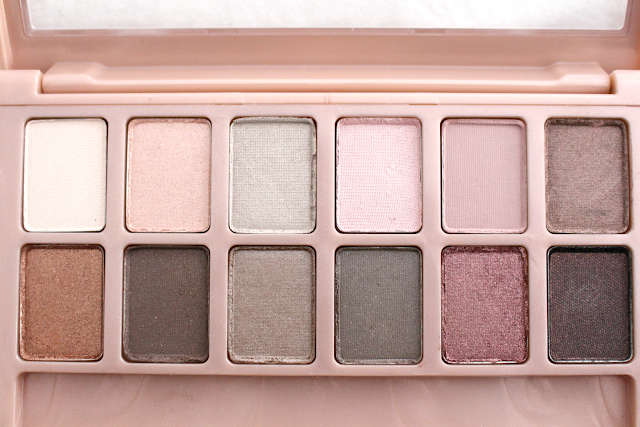 I tried the In The Nudes palette by Maybelline and I didn't like it very much but the shades of palette are gorgeous! I really like the shades. I totally agree about the chalkiness of the eyeshadows but it's fun to play around with different looks and I love the dark green shade. 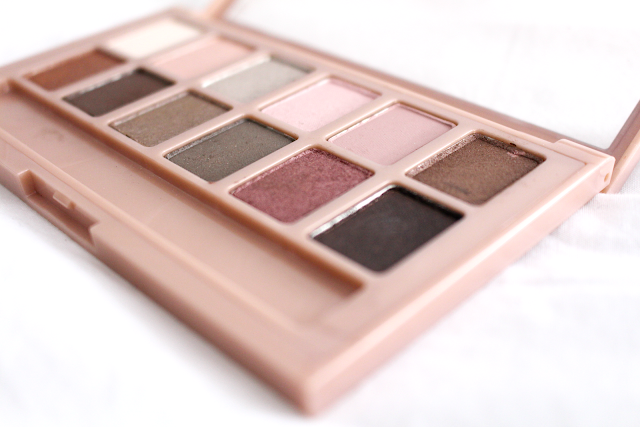 I did a post about this eye shadow pallet too! I purchased all of the pallets and I really like them. Haven't tried this... yet! But I am going to have to pick this up as it looks like a really nice pallet! Thanks for the lovely read!